Sterling Systems & Controls, Inc. offers customized micro weighing systems to create a batch of material that requires accurately measured ingredients, which is critical to the batch integrity. These micro weighing systems (a.k.a. micro ingredient systems or micro ingredient batching systems) can be semi-automatic or fully automatic. As a part of our micro weighing systems, we offer supply bins, feeders, automatic bin refilling, work platforms, raw material bag handling equipment, dust collection, and batched material conveying equipment (pneumatic and mechanical). Micro weighing systems are those which have typical weighment sizes up to around 50lbs (23kg). We offer a variety of feeding devices for the micro weighing systems that are chosen based upon the best solution for the specific application, through material product feasibility studies. For the screw or auger feeder selection, considerations include: 1) the industry (food, agricultural or industrial), and 2) demands of the application. For industrial applications we offer a Standard Duty design, or Heavy Duty design for different bin sizes and ingredient loads. We also offer Agricultural and Food Grade design feeders for these specific applications. Selection is typically driven by the products bulk density and the environment of the application. Standard feeder designs range from 2 to 6 inches. Size selection is depending upon accuracy and rate requirements. 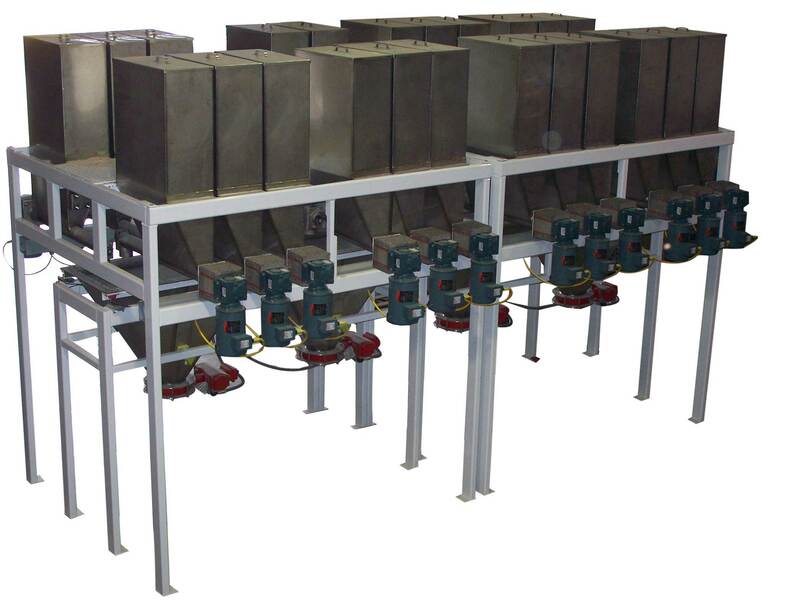 We also offer systems with vibratory feeders. depending upon the application, where screw (auger type) feeders are not appropriate or the best choice. Scale devices such as hoppers, platforms, conveyors, etc. are used in a variety of designs, depending on the specific requirements of the application. When considering the scale device or type, many application factors are reviewed such as the required scale resolution, accuracy, batch rate and also room constraints. Transfer of completed batches to downstream processing, such as a mixer, blender or other process equipment, can be done manually (a semi-automatic system) or automatically. Systems providing automatic control for manual weighing and batching of ingredients can also be provided. 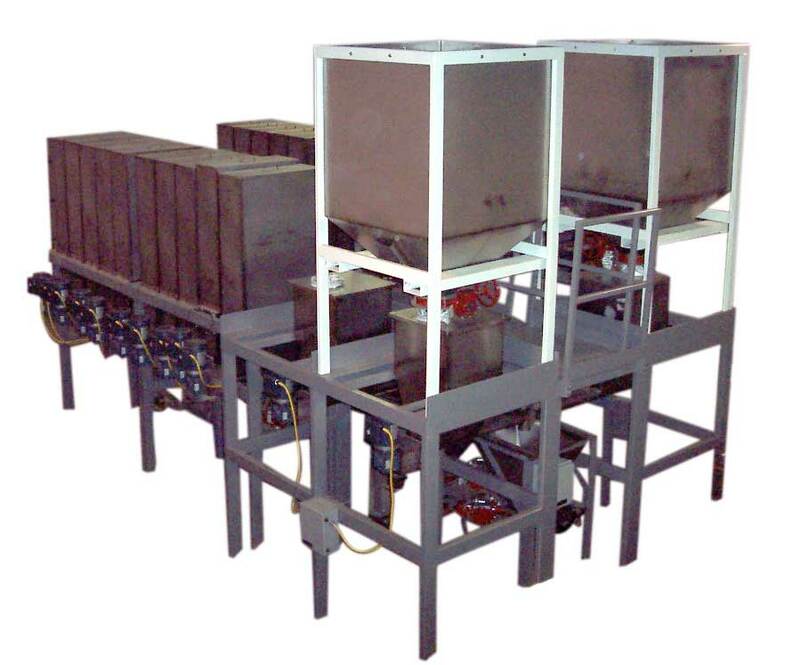 These are semi-automatic systems, sometimes also called kitchen batching systems. Micro weighing systems (a.k.a. micro ingredient systems or micro ingredient batching systems) are modular in design allowing for expansion of the systems as requirements change over time. Many customers will automate the most frequently used material with the highest volumes and add to the system. Systems typically range from 6 to 48 storage/supply bins, with an average of 24 micro bins. It is not unusual to update systems with additional bins and update system controls decades after initial design and installation. Sterling Systems & Controls, Inc. micro weighing systems (a.k.a. 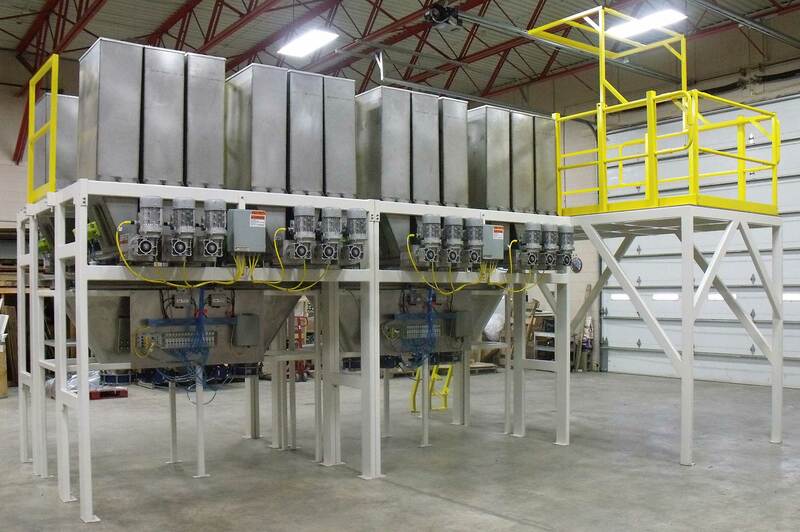 micro ingredient systems or micro ingredient batching systems) are designed to easily allow for expansion, changes and modifications mechanically as well as in the controls and automation area. Sterling Systems & Controls, Inc. customizes the design and manufacture of micro weighing systems (a.k.a. micro ingredient systems or micro ingredient batching systems) to provide the most efficient weighing and batching systems for various agriculture and industrial applications; including feed, petfood, food, baking, rubber, chemicals and many more industries.